Thank you for helping us raise $20,000 for kids and the environment!! Auction items are still available. Bid now to Buy-It-Now! Check out the many generous donors who made the 2018 Tilted Earth Festival Silent Auction possible. Let them know you support kids and the environment. Tilted Earth Festival was created to foster the growth of culture, community and the economy in the Verde River Watershed of Arizona. Tilted Earth strives to accomplish these goals on and around the Summer Solstice each year by producing the Tilted Earth Festival. 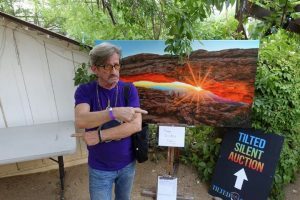 In recent years, the Silent Auction raised over $50,000 to support Kids and the Environment in Yavapai County – largely in the Prescott and Verde Valley areas. Click the image to go to the auction site. Prescott Creeks and Yavapai Big Brothers Big Sisters, along with a new beneficiary, Friends of the Verde River, are joining forces again in 2018 to host the silent auction at the Tilted Earth Festival. The festival and auction will be held on June 22nd and 23rd at Page Springs Cellars in Cornville, AZ. Our goal this year is to raise $20,000 to support Kids and the Environment in Yavapai County. 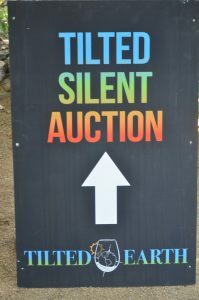 We are currently seeking donations for the Tilted Earth Silent Auction; if you would like to make a donation, please contact Donations@TiltedEarthFestival.com or download a Donation Packet. All proceeds from this auction will support the work of Yavapai Big Brothers Big Sisters, Prescott Creeks, and Friends of the Verde River.